Some cultural commentators talk about the current lay of the land as if it were a vast and scary sea of information and they were an amnesiac Jason Bourne floating in it. All of the old signposts, signifiers, and landmarks are gone, so they say, but that is just a perspective and not the yardstick which is really going to give anyone any useful means of navigating the apparent morass. This inability to surf the waveform of the communication is more the cry of a breed of cultural criticism that has become redundant and is issuing missives from the tar pits as these dinosaurs rush headlong to meet their fates as future fossils. Just because something gets reparsed it doesn’t mean it has become impossible to understand. Back in the late nineties and early noughties companies sent out coolhunters to track down the latest brief eruption of “burst culture” as Warren Ellis called it, before it disappeared, so it could be capitalized on. There were people employed to go out and stand in high traffic places to look cool and have conversations about the latest trendy product, so that people might overhear and rush to purchase. Companies were panicking about the internet and the effect it was going to have on the old models of selling. Things don’t seem quite so confused now – hipsterism is a magpie sub-culture borne of an eclecticism that seems designed to feed off what would have once seemed a muddle of different things that you couldn’t like all at the same time. You couldn’t be a Beatles and a Stones fan; it was Blur or Oasis; East or West Coast – everything broke neatly into two camps. Now you have Paul McCartney working with Rihanna; the Flaming Lips are friends and defenders of Miley Cyrus; and the thing which drives the purchase or listening choice is the cool quotient, not what camp they fall into. 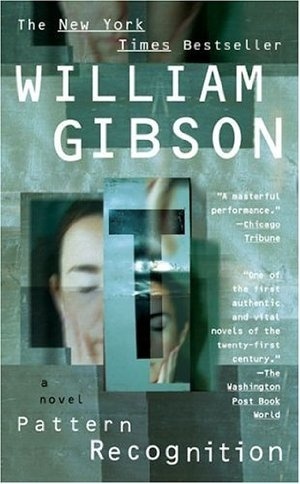 William Gibson, seminal cyberpunk author, gave us the character Cayce Pollard, a coolhunter herself, who gave hope that human intuition might still be relevant in this new alien landscape – she was the touchstone for those learning their way through this new place. Her boss, and the shadowy Oz figure behind the curtain of fictional ad agency Blue Ant, Hubertus Bigend,was emblematic of the formless push towards some unknown quality; some “it-girl-ness” thing that was possessed by variously a film, a magazine, and some clothing. Cayce is a transitional character for a transitional period, but we are now knee-deep into the next mode of expression that culture is manifesting itself as. Advertising is voracious and chews things up in the way the internet chews things up. Everything becomes part of the gumbo, and nothing is really no-go if it is cool. Cayce would be a good mascot for the still confused though. People were digging for meaning – something deeper than the surface read. Cayce Pollard is an embodiment of post-911 confusion, and the idea that some branding is a little crass is discussed and represented in the physical aversion she has to some brands. Where do you go from where you are, and what does it all mean anyway? That is what people were asking. Hubertus is embracive of the new order, it fits his amorphous purpose, and the products he is chasing could only really emerge out of that kind of chaos. The fingers scrabbling for purchase on the smooth surface would seem to be a very fitting motif for a school of thought that keeps trying to argue that you cannot know. So, if you are Jason Bourne how do you find out who you are and what it all means? Well, it’s thankfully not quite that drastic – you don’t have to travel around Europe punching, kicking and shooting everyone. There are metrics that you can use to put the fragmented picture together, and if you are offering a particular product or service, there are ways that you can translate it into the language of a certain clique. The markers shift a lot more rapidly, but if you look close enough there is still something to be read into. You have your phones, your tablets, your laptops, and your desktops, and the way you store your information and access it is more fluid. The way you think about adverts and products and art is more fluid – there is more than a little bleed at the edges of both things. Independent artists using Print On Demand services have to sell as well as create, and there tends to be a little more art in the selling, and a little more commerce in the art. Big label artists are having to go guerrilla to sell, as much as anyone. Most of the tech savvy; image literate; internet age kids and adaptive adults would never find themselves floating like Bourne though; they’re more likely to be Neo peering through the subterfuge of the Matrix at the coding underneath. Appeal to the cool, be genuine, because they are looking past the surface, and they aren’t drowning. They aren’t turning away from brands for anything other than lack of cool, and that can come from celebrity endorsement or appealing to some ethical belief. Smart advertising for smart people – the cool are hunting for the products themselves in a way companies used to, and if you find the right way to present it they will snap it up. The breadcrumbs are actually a lot easier to follow, the mistake that seems to be tripping people up is that they are looking for some mass unified aesthetic or movement that can sum up the spirit of the age in the way that punk did, that the way fifties rock and roll or the Beat movement did. Nothing that unified is really evident though – but they have to use the same media to navigate by, and they can be followed down those rabbit holes a lot easier than in the past. You don’t have to know where the secret club is anymore; where that illegal rave being staged; all you need to be able to do is plug in some well-thought out search terms into a search engine, and you can learn what you need to know.